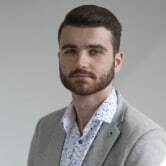 , who joins as Cartology’s managing director. Long-standing Woolworths exec Rod Evenden has been been appointed as general manager - operations. Cartology will progressively replace the existing media selling model and arrangement within the group. The media buying and planning which is currently run out of Dentsu Aegis Network's bespoke division, Woolies@DAN, will not be impacted by the changed. A Woolworths spokesperson told AdNews the agency relationship would remain unchanged and that this move was focused on the selling process of its owned channel assets, which will now be moved into "one business unit". The news follows the exit of Woolies@DAN general manager Sarah James, who left the role earlier this year to lead Initiative's Melbourne operations. 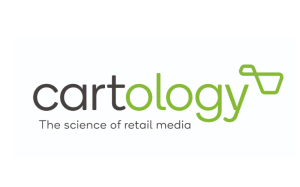 The team at Cartology will include team members joining from Quantium 1:1 media, TMS Australia and the MediaHub, all who currently work with suppliers on media across the Woolworths group. “Cartology has been established to provide a more streamlined approach for suppliers to better communicate to customers via our in-store, digital and other media assets," Woolworths Group CEO Brad Banducci says. "It’s an exciting time for our partnerships and we look forward to working closely with suppliers and industry as we launch the business and further innovate the retail media landscape in Australia." Banducci says the business needs to "better connect" with its customers in a relevant and engaging way. Optus, CommBank, CUB, and Foxtel are just among a few big brands making the move to bringing part of their businesses to in-house models. "Many are now leveraging new digital and data technologies to become major media businesses in their own right," Banducci says. “In Australia, we are well placed to provide a platform for our suppliers to engage potential customers with close to a billion searches to our websites for food and drinks in the past year alone." AdNews has contact Dentsu Aegis Network for further comment. Woolworths plans to launch a stand-alone media business with the intent of ensuring supplier partners are able to "better communicate and engage" with customers. Spearheading the operation is former Adshel boss and industry veteran Mike Tyquin, who joins as Cartology’s managing director. Long-standing Woolworths exec Rod Evenden has been been appointed as general manager - operations.